I admire people who do a morning devotion first thing each day. Those who dive into scripture, making notes in their bibles and journals, allowing scripture to shape and transform their day. These people are the fertile soil in which the seed lands. I want to do my devotion first thing. I have tried, but sometimes, it just does not work. Most mornings my mind is like stone. Nothing sticks until after I have had my shower and at least two cups of coffee. Then I must be careful or I will clutter my mind with the morning news, my to-do list, emails, and social media. These things can spread through my mind like weeds. Some days, I need round-up for the mind (my quiet place) to regain focus, if I am to be fertile soil where the Lord’s words can take root, grow in me, guide my day, and my life. More times than not, my mind is like stone, or cluttered and tangled with the thoughts of life. 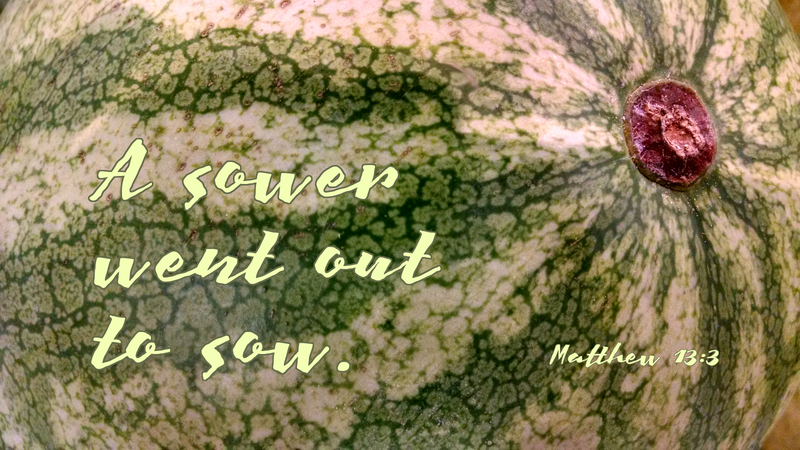 Yet the sower never quits sowing. He just keeps walking down the path that is my life sowing his seed, and by his grace, his seed takes root within me. Prayer: Gracious Lord, may your Word always find fertile ground in me. Amen. My devotions are started in the morning, but not always the very first thing. I know that filling my mind and then my heart with devotions will set the tone for the rest of the day. My “routine” is to rise and shower and allow the timer on the coffee pot to do its thing. I dress and make my way to the kitchen for my first 20 ounces of coffee. Then to my study/computer for “My Daily Bread” followed by the postings of Pastor Mark from the Carolina’s NALC Mission District Devotional. Blessings to all who make this page fresh each day, it does bless those who read it.